Today’s post from Don McCanne revives an old issue readers of this blog are familiar with — the introduction of new models or the revising of old models for value-based care such as Accountable Care Organizations (ACOs) and the Medicare Shared Savings Program. 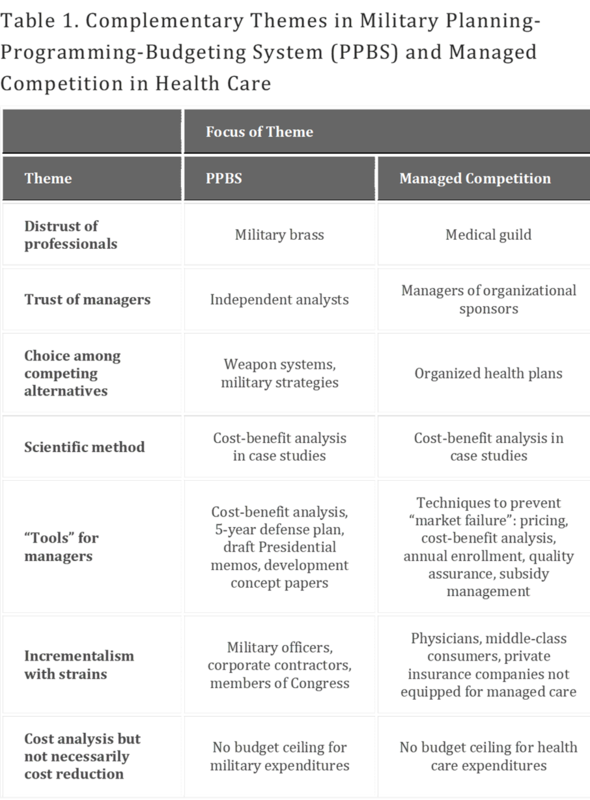 CMS Administrator Seema Verma attempts to defend these models and gives an overview of a new proposal called “Pathways to Success.” Don’t you just love these cute names they give to future failures? Instead of scraping them altogether and going to single payer, they keep re-inventing a broken wheel. At any rate, I am posting Verma’s article from Health Affairs blog, along with Kip Sullivan’s response, and lastly, Don McCanne’s brief comments on both. Enjoy! For many years we have heard health care policymakers from both political parties opine about the need to move to a health care system that pays for the value of care delivered to patients, rather than the mere volume of services. From the moment I became Administrator of the Centers for Medicare & Medicaid Services (CMS), I have been committed to using every tool at my disposal to move our health care system towards value-based care. One set of value-based payment models that CMS has been closely reviewing are initiatives involving Accountable Care Organizations (ACOs). The majority of Medicare’s ACOs – 460 of the 561 or 82% of Shared Savings Program ACOs in 2018 – are in the upside-only “Track 1” of the Shared Savings Program, meaning that they share in savings but do not share in losses. Currently, ACOs are allowed to remain in the one-sided track for up to six years. The current combination of six years of upside-only risk, which involves bonus payments if spending is low but no risk of losses if spending goes up, along with the provision of waivers may be encouraging consolidation. Such consolidation reduces choices for patients without controlling costs. This is unacceptable. The proposed changes included in Pathways to Success would shorten the maximum amount of time permitted in upside-only risk to allow a maximum of two years, or one year for ACOs identified as having previously participated in the Shared Savings Program under upside-only risk. Streamlining the program, extending the length of agreements, and accelerating the transition to two-sided risk would result in reduced administrative burden and greater savings for patients and taxpayers. ACOs can be an important component of the move to a value-based system, but after six years of experience, the program must evolve to deliver value. The time has come to put real “accountability” in Accountable Care Organizations. That same day, Verma published an essay on the Health Affairs blog in which she revealed, presumably unwittingly, how little evidence she has to support her decision. The data Verma published in that essay revealed that one-sided ACOs are raising Medicare’s costs by six-one-hundredths of a percent while two-sided ACOs are cutting Medicare’s costs by seven-tenths of a percent. Because these figures do not consider the expenses ACOs incur, and because the algorithms CMS uses to assign patients to ACOs and to calculate ACO expenditure targets and actual performance are so complex, this microscopic difference is meaningless. As pathetic as these figures are, they fail to take into account ACO start-up and operating costs. CMS doesn’t know or care what those costs are. The only relevant information we have are some undocumented statements by the staff of the Medicare Payment Advisory Commission (MedPAC) to the effect that ACO overhead is about 2 percent of their benchmarks (their predicted spending). I suspect 2 percent is low, but let’s take it at face value and do the math. If, as Verna’s data indicates, two-sided ACOs save Medicare seven-tenths of a percent net (that is, considering both CMS’s shared-savings payments to some ACOs and penalties other ACOs that lose money pay to CMS), but these ACOs spend 2 percent doing whatever it is ACOs do, that means the average two-sided ACO is losing one percent. The good news is that Verma may have hastened the demise of a program that isn’t working. Whether Congress ultimately pulls the plug on the ACO project will depend on whether ACO advocates will concede at some point that the ACO fad was based on faith, not evidence, and has failed to work. I predict they will refuse to admit failure and will instead peddle another equally ineffective solution, for example, overpaying ACOs (as the Medicare Advantage insurers and their predecessors have been for the last half-century). I base my prediction on the behavior of ACO advocates. The history of the ACO movement indicates ACO proponents don’t make decisions based on evidence. Evidence that the ACO project is failing is piling up. All three of CMS’s two-sided ACO programs – the PGP demo, the Pioneer demo, and the Next Generation program – saved only a few tenths of a percent, while CMS’s mostly two-sided program, the MSSP, raised costs by a smidgeon. All four programs have raised costs if we take into account the ACOs’ start-up and operating costs and CMS’s cost of administering these complex programs. Evidence indicting the other major “value-based payment” fads – medical homes, bundled payments, and pay-for-performance schemes – is also piling up. The simultaneous failure of all these fads to cut costs spells trouble ahead for the Affordable Care Act (because it relies on “value-based payment reforms” for cost containment), MACRA (because it also relies on “value-based payment” theology), and our entire health care system (because the big insurance companies and the major hospital-clinic chains are spending more money on “value-based payment” fads than those fads are saving, and because these 1,000-pound gorillas are using the establishment’s endorsement of ACOs, medical homes etc. as an excuse to become 2,000-pound gorillas). The root cause of our nation’s chronic inability to adopt effective cost-containment policies is the chronic inability of the American health policy establishment to make decisions based on evidence, not groupthink. Seema Verma’s decision to bet the farm on two-sided-risk ACOs is the latest example of this problem. We can thank Seema Verma for showing us that all of the talk about value-based payment – paying for value instead of volume through the establishment of accountable care organizations – was never really about value. Her insistence in shoving providers into downside risk reveals that it was always about reducing federal spending on Medicare. But that hasn’t changed her deceptive rhetoric about value and accountability. Thank goodness we have astute analysts such as Kip Sullivan. The excerpts from his critique of Verma’s views as expressed in her Health Affairs Blog article should tempt you to read his entire critique at The Health Care Blog (link above). The nonsense about ACOs has to go so we can get down to fixing the real problems with our health care financing system – the inequities, lack of universality, and lack of affordability for far too many individual patients. So let’s turn up the volume on a well designed, single payer, improved Medicare for all. This entry was posted in Accountable Care Organizations, ACO, Alternative Payment Model, Centers for Medicare and Medicaid Services, CMS, Federal Government, Health Care, Health Care Reform, Health Policy, Medicare, Medicare for All, Medicare Shared Savings Program, Single Payer, value-based care and tagged Accountable Care Organizations, ACOs, CMS, Congress, Health Care, Medicare, Medicare for All, Medicare Shared Savings Program, Single Payer, value-based care on August 22, 2018 by Transforming Workers' Comp. It is amazing how experts in the field of health care are so wedded to ideas that are, with greater scrutiny, the real cause of the dysfunction and failures of providing health care to the citizens of a nation. Such is the case with an article I found from the Commonwealth Fund, a well-respected organization in health care research, yet doubles down on the root causes of the crisis faced by the health care system in the US. The focus of the article was on the idea of Affordable Care Organizations (ACO’s), which in the US were established in 2010 under the ACA. According to the authors, both countries are currently working toward better integrating health services, improving population health, and managing health care costs. They also said that both countries are developing their own versions of ACO’s to achieve these aims. However, the authors point out, by way of listing previous links to articles they wrote, that results so far have been mixed, patient experience (you mean like having a great time at Disney World, that sort of experience?) and some quality measures have improved. Yet, financial savings, they report, have been modest and data on outcomes is limited. 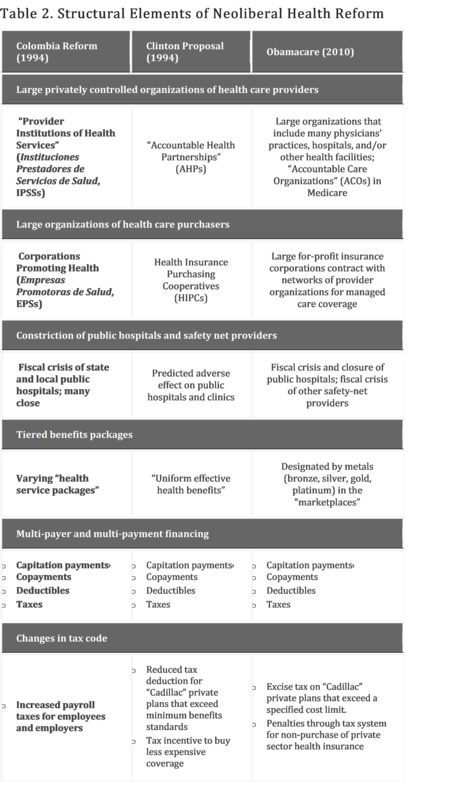 These STPs cover the entire country and are “place-based” partnerships of all NHS organizations and local government departments that purchase and provide health and long-term care services for a geographically defined population. They believe that organizations in STPs will work together to improve care and manage local budgets. Some payers are even considering American-style ACO contracting models. So let me get this straight. We are not having much success with ACOs, yet, the Brits are moving in that direction. And the physician-led advocacy group in this country, the PNHP, that is pushing for single-payer, has been forced to consider models employed by the British NHS. If that isn’t the definition of insanity, I don’t know what is. 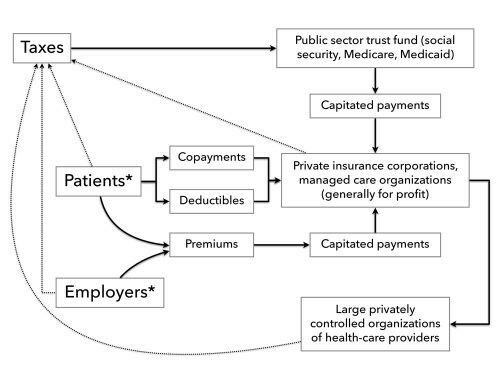 Of course, the move towards ACOs in this country is due to the ACA and to the resurgence of 19th century economic liberalism, also known as neoliberalism, and its impact over the past thirty years on the American health care system. But in the UK, the move away from Labour Party socialism to the Conservative Party’s neoliberalism, is the reason why Britain is exploring the ACO model. Maybe one day, both Anglo-oriented nations will wake up and stop believing in the fairy tale that the free market works for health care. It does for cars and other consumer goods, but health care is not a consumer good. It is a necessity of life. This entry was posted in ACA, Affordable Care Act, Capitalism, commodification, Health Care, Health Care Reform, libertarianism, medical care delivery, MEDICAL COSTS, Neoliberalism, NHS, Outcomes, Patient Outcomes, PNHP, Population Health, Quality, Quality Measures, Single Payer, United Kingdom and tagged ACA, ACOs, Affordable Care Act, Health Care, Health Care Costs, Health Care Reform, Medical Costs, NHS, Single Payer on April 20, 2018 by Transforming Workers' Comp. Once again, a topic previously discussed here has raised its head. This time, it is the Medicare Shared Savings Program (MSSP), Medicare’s largest alternative payment model (APM). Readers of this blog will recall previous posts about this topic. The first, from September 2015, Shared Savings ACO Program Reaps the Most for Primary-care Physicians reported that primary-care physicians were benefiting the most from the shared savings. The next post, Challenges Remain in Physician Payment Reform, which followed on the heels of the first, discussed the challenges that remained in reforming physician payment, after then President Barack Obama (the good ole’ days) signed the Medicare Access and CHIP Reauthorization Act (MACRA) back in April. MACRA repealed the Sustainable Growth Rate (SGR) mechanism of updating fees to the Physician Fee Schedule (PFS), and had been blamed for causing instability and uncertainty among physicians for over a decade, and that led to 17 overrides of scheduled fee cuts, at a cost of over $ 150 billion. In Models, Models, Have We Got Models!, I suggested, rather strongly that all these models were not living up to their promise and was only creating more complexity, confusion, and dysfunction in an already dysfunctional health care system. A post from January 2017, Illogical!, reported on yet another asinine model introduction by CMS at the Health Care Payment Learning and Action Network (LAN) Fall Summit by Adminstrator Seema Verna. So when I received an email today from Dr. Don McCanne, former president of the Physicians for a National Health Plan (PNHP) that mentioned a press release from Avalere Health indicating that Medicare ACO’s have increased federal spending despite projections that said they would produce net savings. 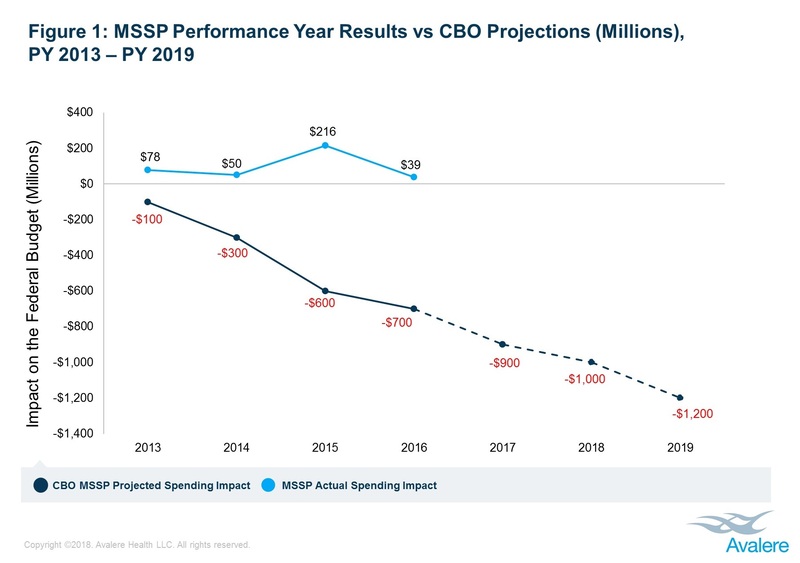 According to the press release, the Medicare Shared Savings Program (MSSP) has performed considerably below the financial estimates from the CBO that was made in 2010 when the MSSP was enacted as part of the ACA. Avalere’s press release said that this has raised questions about the long-term success of Medicare’s largest alternative payment model (APM). The MSSP has grown from 27 ACO’s in 2012 to 561 in 2016, and most of them continue to select the upside-only Track 1, the release continued, which does not require participants to repay CMS for spending above their target. 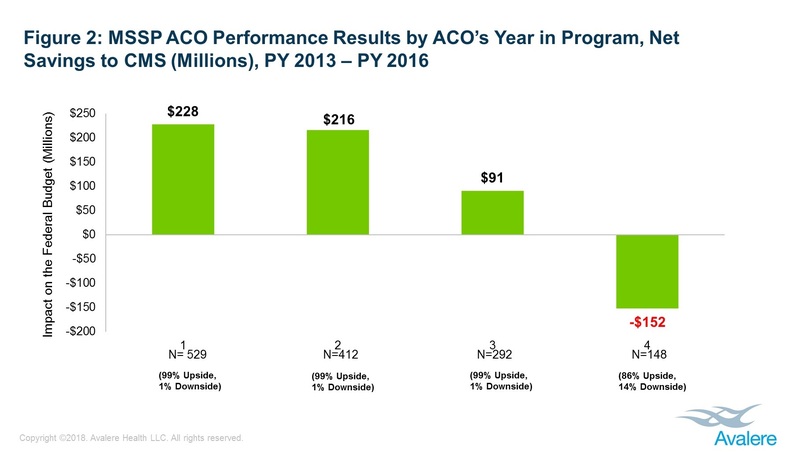 As seen in the figure below, Avalere’s research found that the actual ACO net savings have fallen short of initial CBO projectios by more than $2 billion. However, in 2010, the CBO projected that the MSSP would produce $1.7 billion in net savings from 2013 to 2016. Yet, it actually increased federal spending by $384 million over that same period, a difference of more than $2 billion. Avalere also found that while the MSSP was overall a net cost to VMS in 2016, there is evidence that individual ACO performance improves as they gain years of experience. Avalere found that MSSP ACO’s in their fourth year produce net savings to the federal budget totaling $152 million, as shown in the next figure. Avalere’s analysis also showed that the downside-risk models in the MSSP experienced more positive financial results overall. This indicates that there is potential for greater savings over time to CMS as the number of downside-risk ACO’s increase. The upside-only model increased federal spending by $444 million compared to the downside-risk ACO’s $60 million over 5 years. “While data do suggest that more experienced ACO’s and those accepting two-sided risk may help the program to turn the corner in the future, the long-term sustainability of savings in the MSSP is unclear. ACO’s continue to be measured against their past performance, which makes it harder for successful ACO’s to continue to achieve savings over time,” said Avalere’s director, John Feore. The weird part is that despite the MSSP increasing federal spending, ACO’s are still reducing spending compared to projected benchmarks. If you are increasing spending, then how can you at the same time be reducing spending? Isn’t this a health care oxymoron? Which brings me back to my previous posts. CMS is a clusterfudge of programs, models, rules, regulations, and schemes that have done nothing to improve the health care system in the US. In point of fact, it has only added to the confusion, complexity, dysfunction, and wastefulness of a system no other nation has. When are we going to wake up from this nightmare and deep six the market-driven disaster that is the American health care system? There are saner alternatives, but we are so mentally ill and obsessed with profiting from people’s illnesses that nothing changes. Einstein was right. The definition of crazy is doing the same thing over and over again and expecting different results. We are crazy to continue with this mess. This entry was posted in ACA, ACO, Affordable Care Act, Alternative Payment Model, Capitalism, CMS, complexity, Federal Government, Health and Human Services, Health Care, Health Care Costs, Health Care Reform, HHS, MEDICAL COSTS, Medicare, Models, payments, savings and tagged ACA, Accountable Care Organizations, ACOs, Affordable Care Act, alternative payment models, APM, CMS, Costs, downside-risk, federal spending, Health Care, Health Care Costs, Medicare Shared Savings Program, Models, MSSP, programs, spending, upside-only on April 2, 2018 by Transforming Workers' Comp.